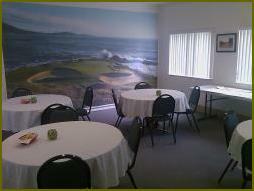 Our banquet room at the Harmon Golf Course is available for rent. 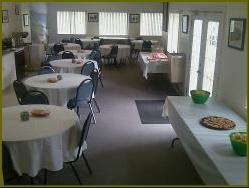 Host your next event for up to 50 people at our charming, historic golf course, located in the heart of Lebanon, Ohio. We feature linen table cloths, a separate entrance from the golf course, Harmon Park (with playground equipment) next door, on-street parking, as well as an overflow parking lot and a pleasant, quaint environment. 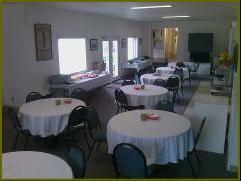 We are open year round for banquet room rental.